People. Place. Diversity. Color. Music. Dance. Work. Play. Celebration. Wit. These are ingredients in Sy Mohr’s art. His love for people of all races, colors, and nations shines through his work. To Sy, this is the soul and essence of life. In a career spanning nearly two-thirds of a century, he has brought his love to life in more than 150 oil paintings, many of which are here in his gallery for you to see and enjoy. Recently, Sy had a bout with pneumonia and some other problems, but he’s had some rehab and has bounced back. 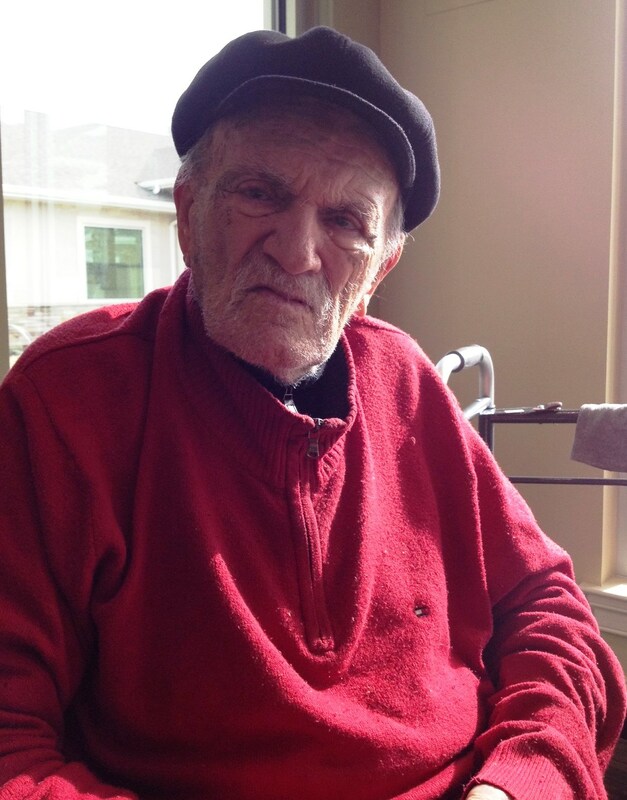 He’s been walking well with a walker and has regained the gift of gab. Good going, Sy! 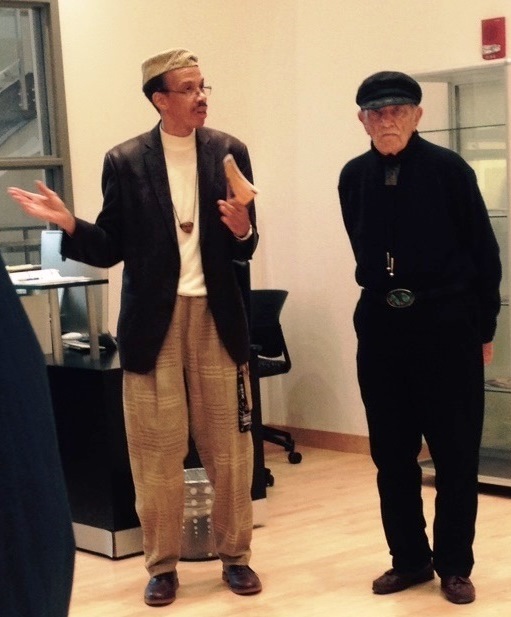 The Sy Mohr Exhibit at Bowie State University Gallery of Art, Fine and Performing Arts Center, is Sept. 16th thru Oct. 21st, 2014. 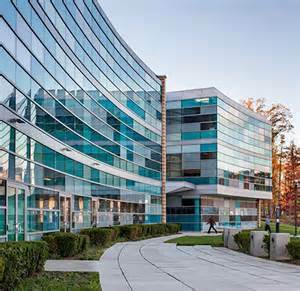 The Gallery, in the Fine and Performing Arts Center, is open Monday—1:00-6:00 pm, Tuesday—10:00 am-5:00 pm, Wednesday—2:00-7:00 pm, Thursday and Friday—10:00 am-12:00 pm and 1:00 pm-5:00 pm. 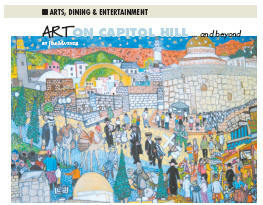 Gallery of Art: 301-860-5712. Don’t miss it! Happy Birthday, Sy! 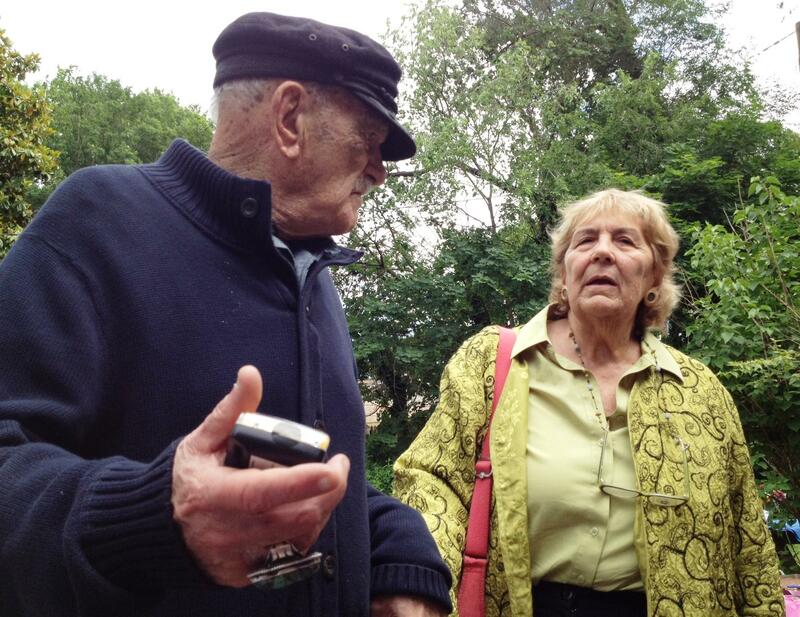 On May 20, 2012, friends of Sy Mohr gathered at his house in Bowie, Maryland to celebrate his 89th birthday. 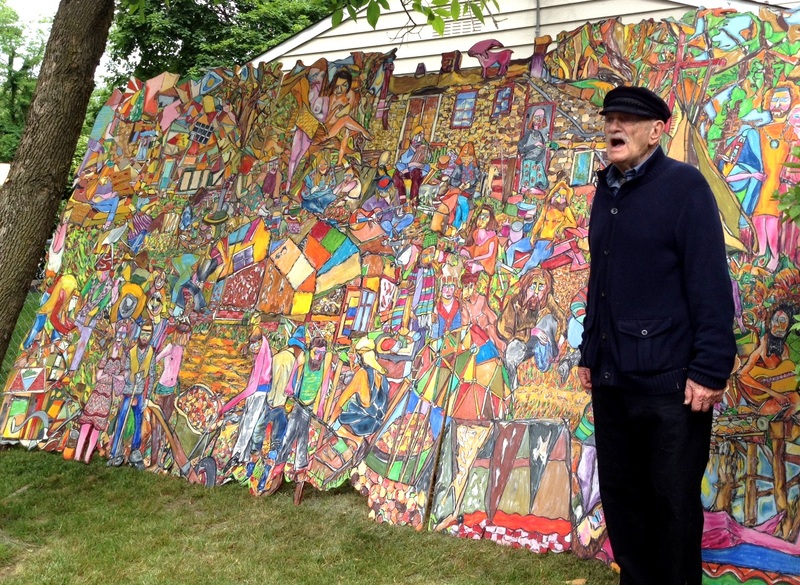 Sy exhibited paintings throughout his house and displayed his 12′ x 8′ painting of Woodstock in the back yard. The Washington Post was on hand to record and photograph the event (see Art appreciation. 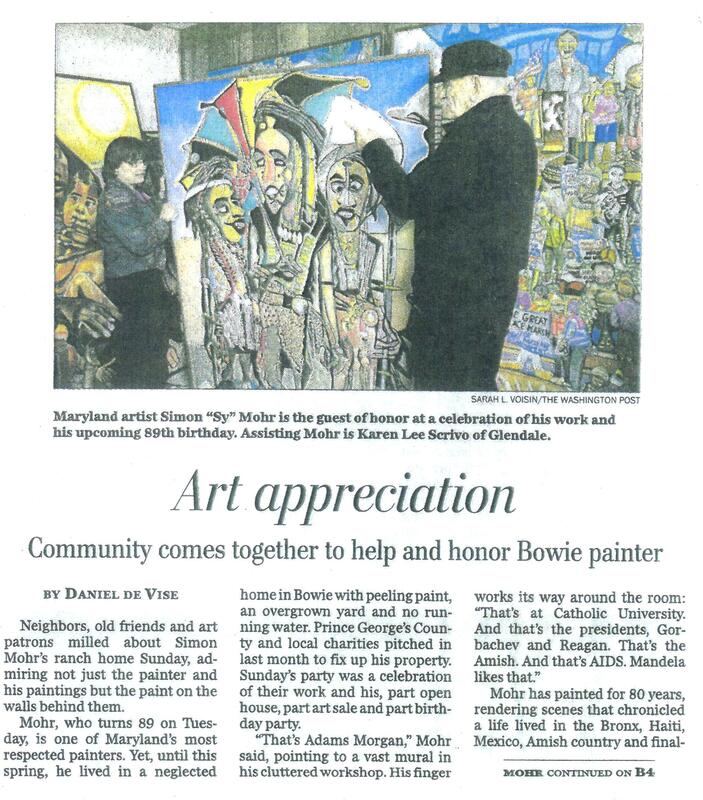 “Community comes together to help and honor Bowie painter” and “High praise for vibrant murals.” Their photographer assembled a wonderful gallery of photos from the party (see below). Retired Annapolis mayor Ellen Moyer joined the party. 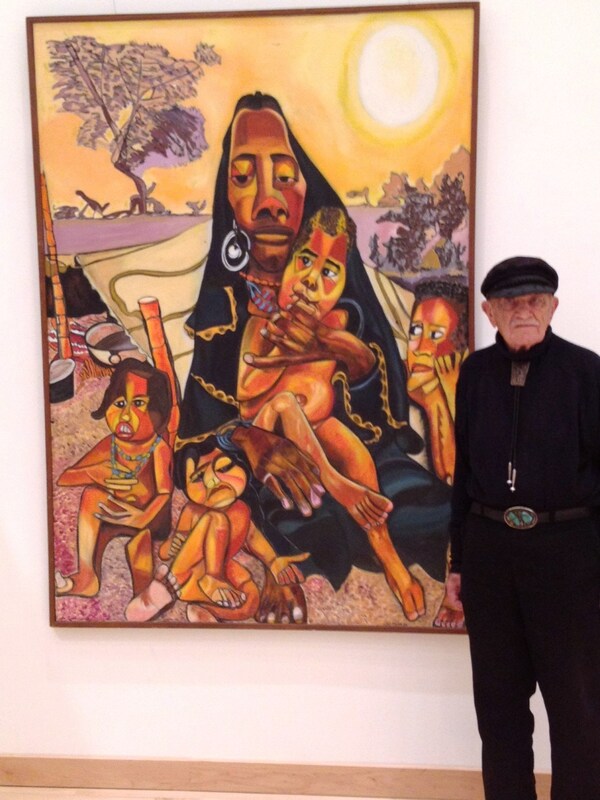 …The artist, who turns 89 on May 22, is one of Maryland’s most respected painters…. Residents of Bowie, Maryland held a Haiti Benefit Concert called Heart2Heart4Haiti on February 28, 2010, to raise funds for the Red Cross, Unicef or Handicap International at the Bowie Center for the Performing Arts. 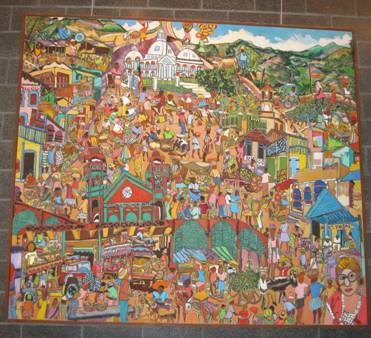 Sy Mohr’s painting of Port-au-Prince was displayed between two of his paintings of Annapolis and Bowie. 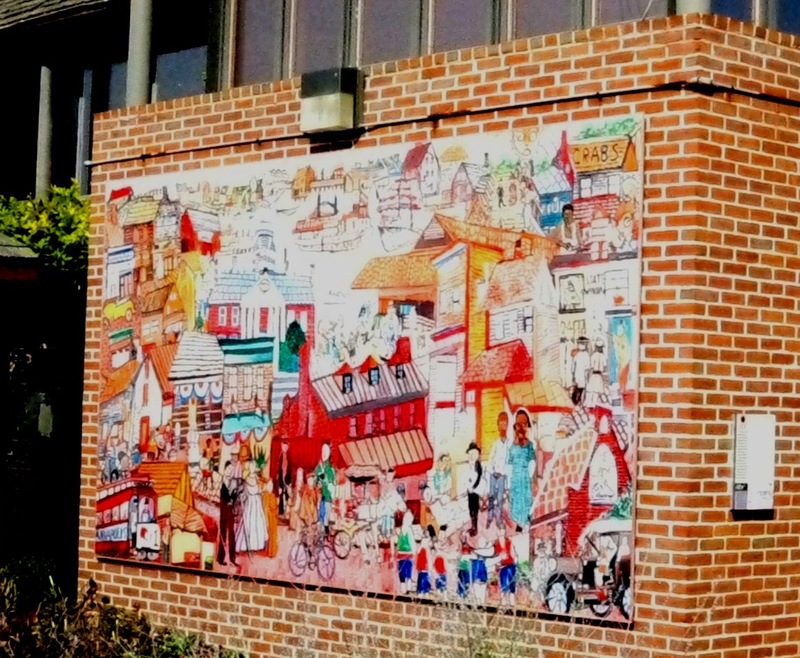 Mohr has been dubbed “The Painter of Maryland” for his many scenes of Annapolis, Ocean City, Solomons Island and Smith Island, and other Maryland locales although his paintings depict much of the country and world. Mohr is a long-time resident of the state. On April 9, Maryland Public Television ARTWORKS This Week, hosted Rhea Feikin and Nate Howard decorated the solon, where Feikin interviewed artists, with two paintings by “Annapolis-based Sy Mohr.” They displayed four other paintings to publicize Mohr’s exhibition at Maryland Hall for the Creative Arts (see below). A solo exhibition of fifty paintings by Annapolis-based, contemporary painter Sy Mohr ran from March 30 through May 9, 2008, at Maryland Hall for the Creative Arts, 801 Chase Street in Annapolis, Maryland, in the balcony gallery. The exhibit opened in conjunction with Maryland Day at Maryland Hall. 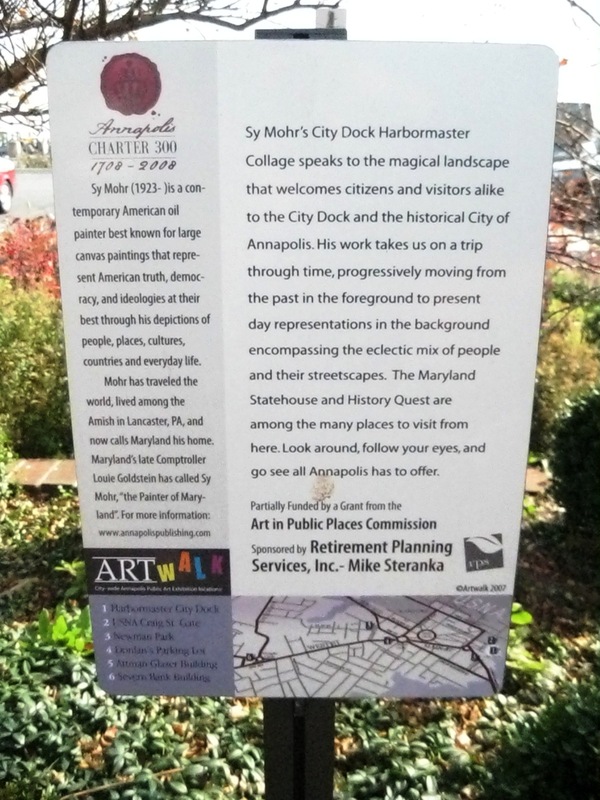 Mohr’s painting “Annapolis,” which had been on display at Lowe’s Hotel on West Street in Annapolis, was included in the Maryland Hall exhibit. 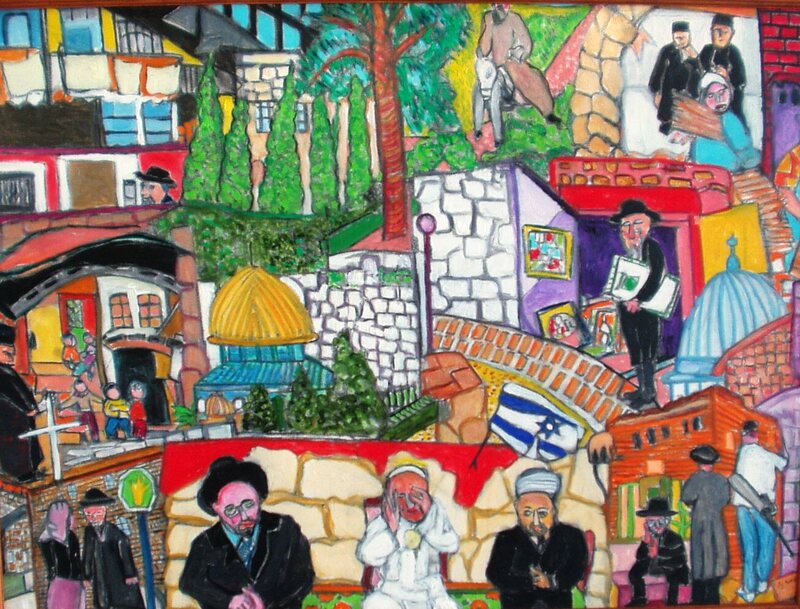 Pope John Paul II Cultural Center in Washington, DC selected Sy Mohr’s painting “The Pope of Life Today” for inclusion in the exhibit A Blessing to One Another: Pope John Paul II and the Jewish People, held September 14, 2005 through April 23, 2006. In November, 2001, The State Museum of Pennsylvania in Harrisburg, PA selected the Sy Mohr painting entitled “Pennsylvania Amish Farm Life” for its permanent collection. View it under The State Museum (www.statemuseumpa.org/highlights.html) or “Activities” below. The artist loaned three of his paintings for a period of three years. 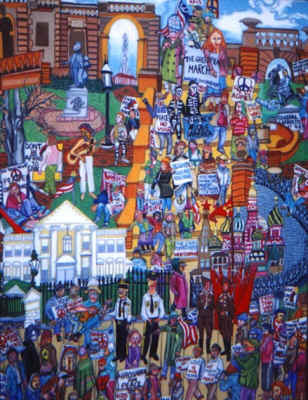 “The Peace March” (Happenings, “Peace March (Right)”, the right hand panel of the three-panel painting) was displayed from 2002 to 2005 in the U.S. embassy in Kigali, Rwanda (see Exhibitions), scene of the bloody 1994 genocide that killed 800,000 people. “Indian Festival” and “Indian Wedding” were displayed in the U.S. embassy in Port-of-Spain, Republic of Trinidad and Tobago, during the same period. , Alex Haley’s ancestor Kunta Kinte traveled from Gambia to a slave auction in Annapolis. Please direct purchase inquiries for paintings and prints to Sy Mohr at 301-249-3034. Viewings of original paintings are by appointment only.